Cyclops Bottom Mount Dual Truck Lights - 1620 Lumens | BUDK.com - Knives & Swords At The Lowest Prices! 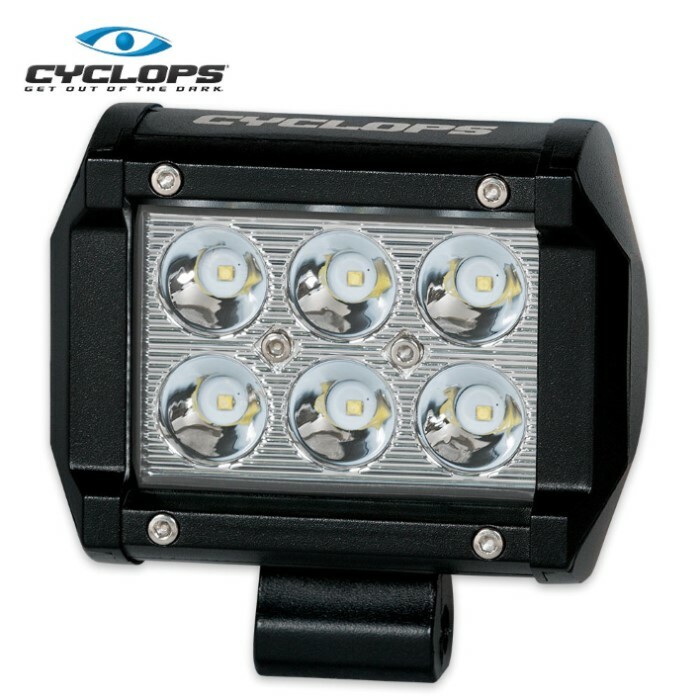 Change your night-riding experience with Bottom Mount Dual Truck Lights from Cyclops Adventure Sports. A dual row of 6 white LED lights puts out 1,620 lumens with a color temperature of 6000K. The 4” bar of flood beam lights are bottom mounts that include mounting brackets and hardware. The lights have a die cast aluminum housing and poly-carbonate lenses.